George was raised in Linden, New Jersey, at a time when service to the country was highly respected. As were nearly all the adult males on his block, his parents were World War II veterans – his father Neil fought as an infantry soldier in Europe and his mother Mary served in the Army Nurse Corps on Okinawa, Japan. George said his interest in justice and democracy began when he was young, listening to the stories of his family about poverty during the Great Depression and battles against Nazism and imperialism. George followed the example and teaching of his parents, Neil Schmidt and Mary Schmidt, both WW II veterans. 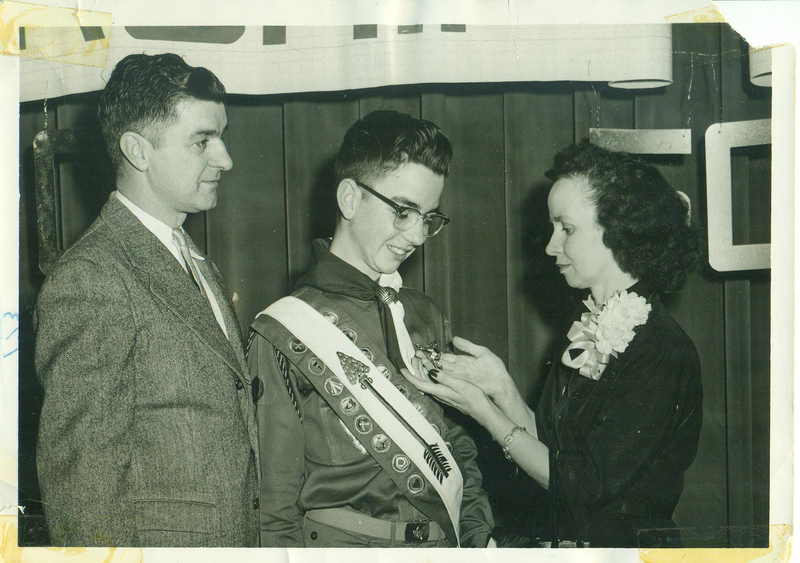 Picture shows George receiving Eagle Scout award at age 13.His mother Mary, who after the war continued to work part time as a nurse, and his father Neil, who worked in the post office, taught George and his younger brother Tommy and younger sisters Joan and Terry to value hard work, education and fairness. Throughout his life, George honored his parents and these values. George always honored his parents, Mary and Neil, who died in 1985 and 1995. 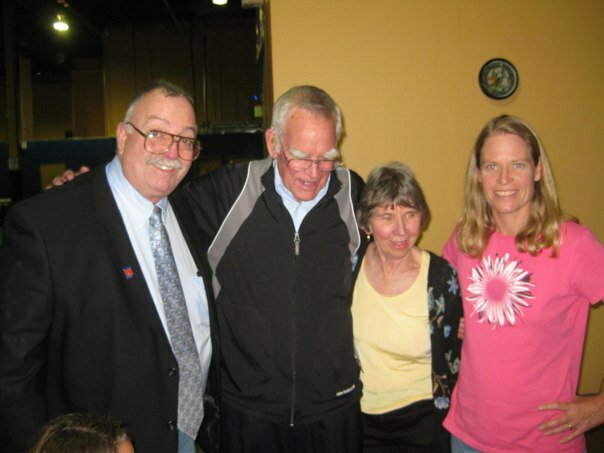 Without them, he honored my parents – Em and Jean Griffin. He respected intellectual and creative gifts, strong values and virtuous lives. He also honored them simply because that’s the right thing to do, to honor your parents.George always honored his parents, and as a side note, without them (as they died in the 80s and 90s), he honored my parents. He respected intellectual and creative gifts, strong values and virtuous lives. He also honored them simply because that’s the right thing to do, to honor your parents. Like his father, George was gifted with intellectual curiosity and abilities. He was his kindergarten’s valedictorian. His voracious reading and prolific writing began as a child. He excelled academically. 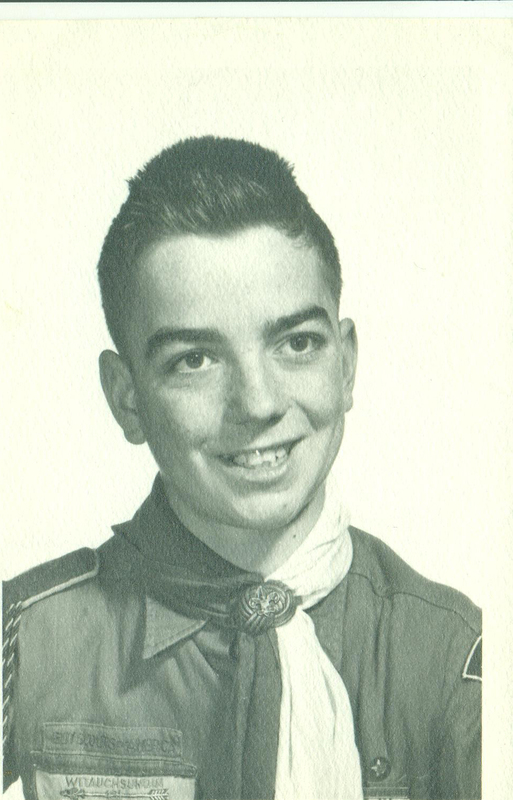 He also embraced scouting, rising to Eagle Scout as a 13-year-old. The brothers served as alter boys at St. Elizabeth of Hungary Church in Linden. Tommy told me they knew how to pray in Latin back then. George helped the family financially, as did his siblings. He worked a daily paper route for the Newark Star Ledger from age 12 until he left home for college. Every day, except Sunday, George prepared the papers and biked his route. On Sundays, because the edition was too big for his usual one or two trips on his bike, his father drove him.